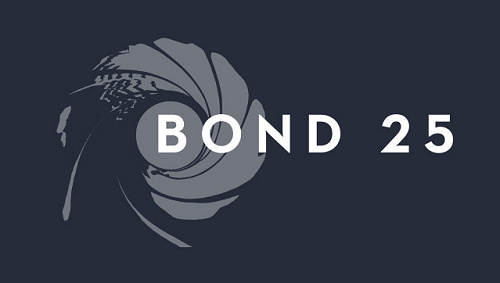 With over a month until principal photography is now rescheduled to begin (on April 6th, 2019), there are still a lot of major details about Bond 25 that are usually known or reliably leaked by now. Like nature, the media abhors a vacuum so when a blog picked up on a rumoured working title, mainstream media ran wild headlines declaring the Bond 25 title had been 'announced' or 'revealed.' Neither was true. Production Weekly is an aggregator of film production details that offers paid subscriptions to those who work in the industry. Their information can be no more official than anything found on IMDB (which anyone with a Pro account can edit) and is often collated from various internet sources as well as trade news. They have included the working title of 'Shatterhand' next to Bond 25 for the past six months in their newsletter, but this was breaking news to the media today. In fact, MI6's article about the state of Bond 25 back in July last year floated 'Shatterhand' would probably be picked up as a perennially rumoured title. It's been doing the rounds in the tabloids as a Bond film title since 1997. Newspapers and media outlets that are usually more restrained jumped on the story today with little regard of the veracity of the source. Elsewhere in the press, the far more reliable Baz Bamigboye dropped some Bond 25 updates in his regular column for the Daily Mail. Oscar-winning actress Lupita Nyong'o ('12 Years A Slave,' 'Black Panther,' 'Star Wars') is apparently being 'wooed' by producers and director Cary Joji Fukunaga for a role in Bond 25. She is already attached to two films entering pre-production: spy thriller '355' and John Woo's Emglish language remake 'The Killer,' which may mean she is unavailable. Among the other updates, tabloid chatter of Emma Stone was declared 'nonsense,' Scott Z. Burns is only halfway through the script rewrite, and Naomie Harris may see her role as Moneypenny expanded in the film. As previously reported, Ralph Fiennes, Lea Seydoux, and Ben Whishaw are all to return. 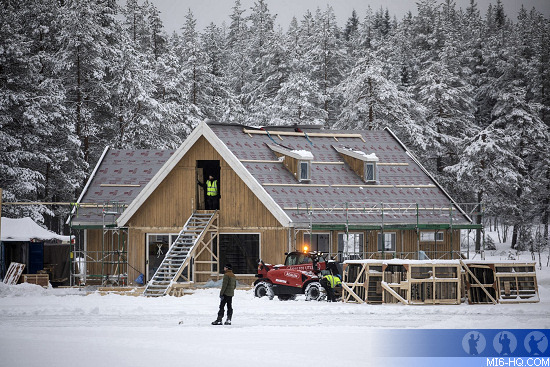 Local news in Norway has spotted a film set being erected in the village of Hakadal, which is about a 25-mile drive north of Oslo. The site has security and nobody connected with the film industry in Norway was able to give any comment to reporters, citing confidentiality agreements. A cabin set is being built as well as a large clearing in preparation of over 100 vehicles arriving at the remote location. Norway's film commission had offered an incentive worth $5.5m for Bond 25 to shoot in the country.